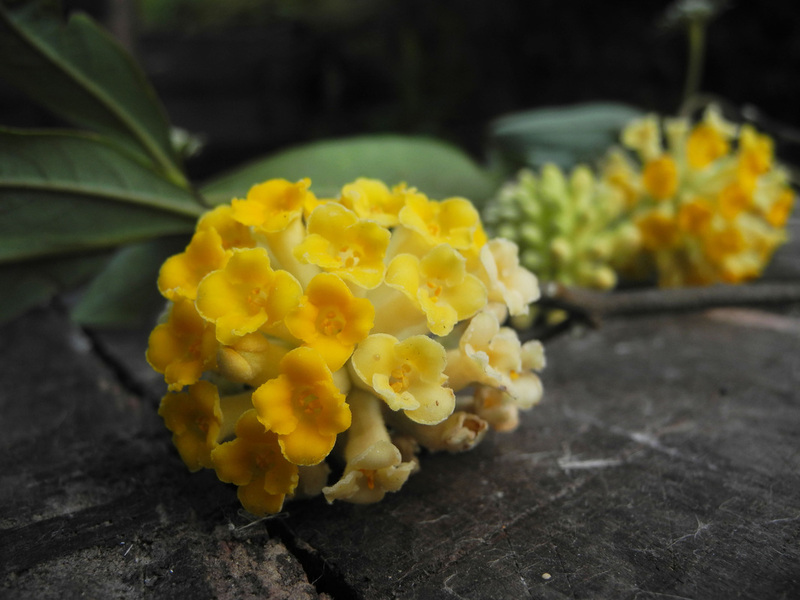 Paper has traditionally been made in Sikkim from the bark of the Argali (Nepalese) (Edgeworthia gardneri) shrub. Argali (pronounced as ar-gay-lee) is an abundantly occurring shrub between 1500 mtrs to 2200 mtrs in the Sikkim Himalayas. 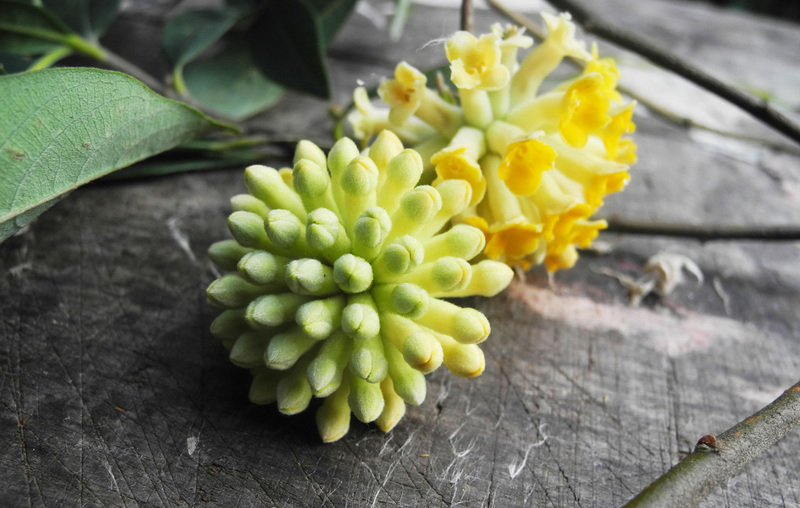 The shrub is fast growing and can be easily propagated, thus, it is used mainly for making ropes before the idea sparked to use its bark in making handmade paper. At Borong-Polok Handmade Paper Unit, the paper is also used for making decorative lampshades and souvenir writing pads. The strength and durability of the handmade paper from Argali also makes it particularly suitable for monastic scriptures and governmental land records. To meet this growing demand, Sikkim Development Foundation(SF) initiated the project, setting up Borong-Polok Paper Making Unit, with its own equity capital and participation from the local community with the objective to disinvest SF's equity after the local community is able to run the unit on their own profitably. In support of the Borong-Polok Paper Making Unit(PMU), two exhibitions were curated by local artists from LASALLE College of the Arts, with the support of Singapore Management University. In the exhibitions, Edgeworthia Gardneri and The Sustainable Shop, artists and students were invited to use the Argali Paper handmade by the PMU from Sikkim, to create functional paper artworks, with the potential of being tapped on as prototypes for the creation of innovative products at the PMU. Both shows were curated such that the products made would have replicas for sale, with proceeds to be donated to the PMU.